Product #17463 | SKU VCTSP2BP | 0.0 (no ratings yet) Thanks for your rating! 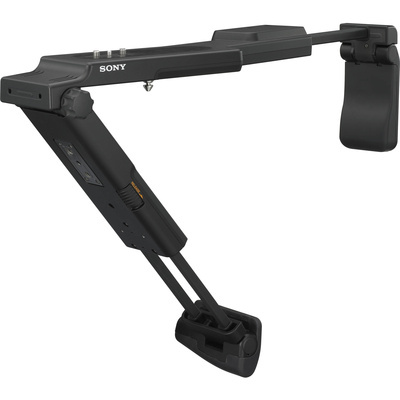 Sony's VCT-SP2BP Camcorder Shoulder Support uses a unique collapsible design to provide 3-point shoulder stabilisation for just about any camcorder. Unfolded and extended, the VCT-SP2BP offers handheld camera support from hands, chest, and shoulder. Collapsed and folded down, the unit attaches easily to a tripod using the included adapters, adding a high degree of flexibility to your shoot. The adjustable shoulder and chest braces can be fit to body size and shooting preference, while the addition of a standard tripod screw lets you mount accessories, such as a battery plate or flash memory device, to the VCT-SP2BP's rear.